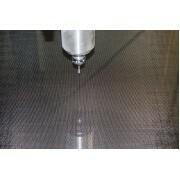 The Catagories below list the sizes available for our Carbon Fiber sheets. These sheets can be used in composite panels, carbon plates and foam core sandwich panels. They are available in your choice of sizes and finish. 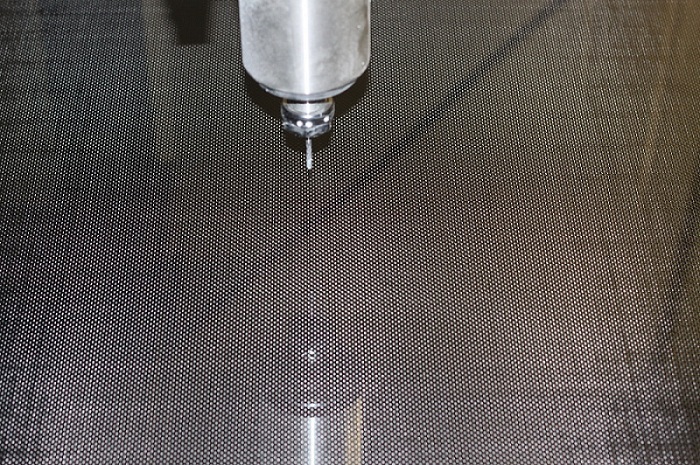 Our standard Carbon Fibre sheets come with a matte finish but if you call ahead we would be more than happy to manufacture your composite sheet or panel with a gloss finish, in your choice of twill or plain weave carbon fiber. Dimensions: 4"x4" Thickness: ~.01 inch, ~1/100 inch, ~.25mm Finish: One Side Class A (Gloss F.. Carbon Fiber Sheets - .01"x12"x12"
Dimensions: 12"x12" Thickness: ~.01 inch, ~1/100 inch, ~.25mm Finish: One Side Class A (Gloss.. Carbon Fiber Sheets - .01"x12"x24"
Dimensions: 12"x24" Thickness: ~.01 inch, ~1/100 inch, ~.25mm Finish: One Side Class A (Gloss.. Carbon Fiber Sheets - .01"x12"x36"
Dimensions: 12"x36" Thickness: ~.01 inch, ~1/100 inch, ~.25mm Finish: One Side Class A (Gloss.. Carbon Fiber Sheets - .01"x12"x48"
Dimensions: 12"x48" Thickness: ~.01 inch, ~1/100 inch, ~.25mm Finish: One Side Class A (Gloss.. Carbon Fiber Sheets - .01"x12"x60"
Dimensions: 12"x60" Thickness: ~.01 inch, ~1/100 inch, ~.25mm Finish: One Side Class A (Gloss.. Carbon Fiber Sheets - .01"x24"x24"
Dimensions: 24"x24" Thickness: ~.01 inch, ~1/100 inch, ~.25mm Finish: One Side Class A (Gloss.. Carbon Fiber Sheets - .01"x24"x36"
Dimensions: 24"x36" Thickness: ~.01 inch, ~1/100 inch, ~.25mm Finish: One Side Class A (Gloss.. Carbon Fiber Sheets - .01"x24"x48"
Dimensions: 24"x48" Thickness: ~.01 inch, ~1/100 inch, ~.25mm Finish: One Side Class A (Gloss.. Carbon Fiber Sheets - .01"x24"x60"
Dimensions: 24"x60" Thickness: ~.01 inch, ~1/100 inch, ~.25mm Finish: One Side Class A (Gloss.. Carbon Fiber Sheets - .01"x36"x48"
Dimensions: 36"x48" Thickness: ~.01 inch, ~1/100 inch, ~.25mm Finish: One Side Class A (Gloss.. Carbon Fiber Sheets - .01"x48"x48"
Dimensions: 48"x48" Thickness: ~.01 inch, ~1/100 inch, ~.25mm Finish: One Side Class A (Gloss.. Carbon Fiber Sheets - .01"x48"x96"
Dimensions: 48"x96" Thickness: ~.01 inch, ~1/100 inch, ~.25mm Finish: One Side Class A (Gloss..